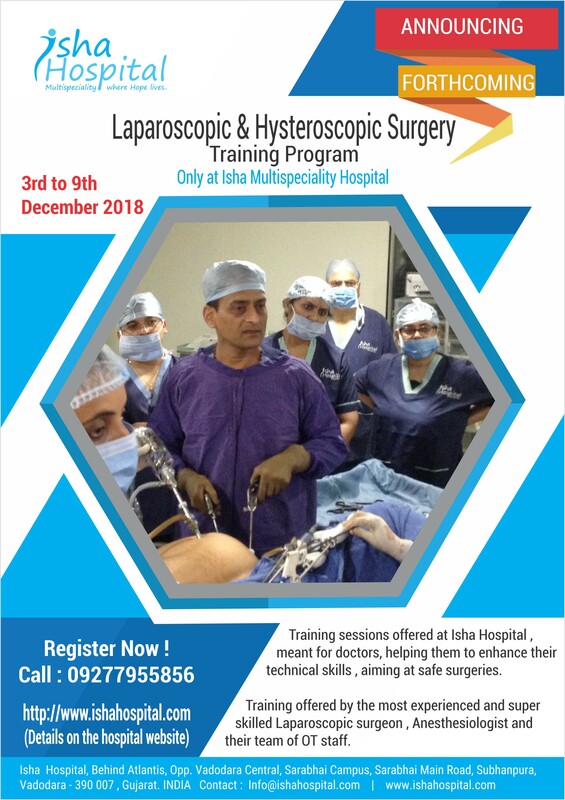 Dates for the forthcoming Laparoscopic & Hysteroscopic Surgery Training Program – (3rd December to 9th December 2018) only at Isha Hospital , Vadodara. Training programs offered at Isha Hospital, meant for doctors, helping them to enhance their technical skills , aiming at safe surgeries. Training offered by the most experienced and super skilled Laparoscopic surgeon , Anesthesiologist and their team of OT staff. Is this training provide on hands? Yes. We provide On-hand Training. You may call on 09277955856 for any more assistance.